He got those because I steered him away from these. What can I say, I was COMPLETELY WRONG. The SpartanKid bought these two guys from The Tangled Web, and for $20 a piece, WHAT A VALUE! 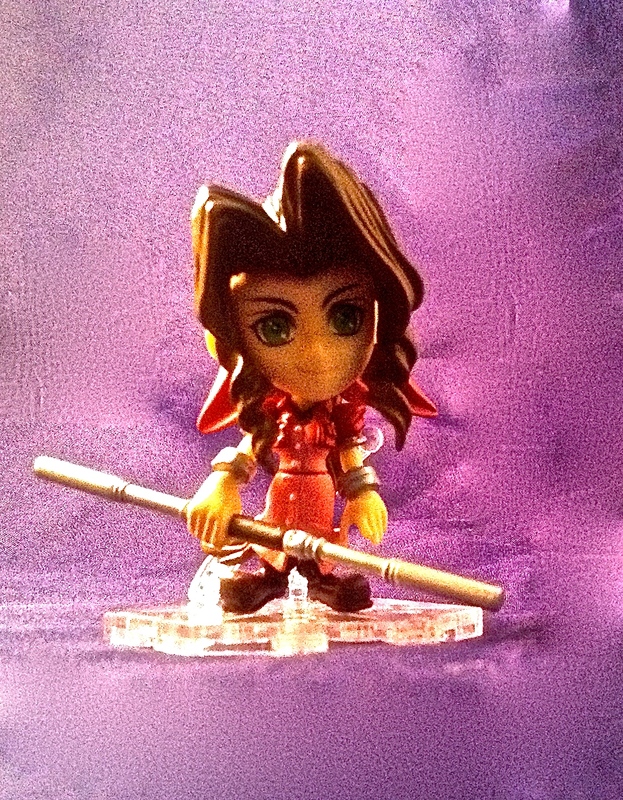 Here is Aeris in box. I assure you, Yuffie is basically the same. All of this packaging is in Japanese, so I have no idea what it says. Here are both girls, fully assembled, and standing together on their connected stands. It is nice that the stands that come with them connect together for display purposes. 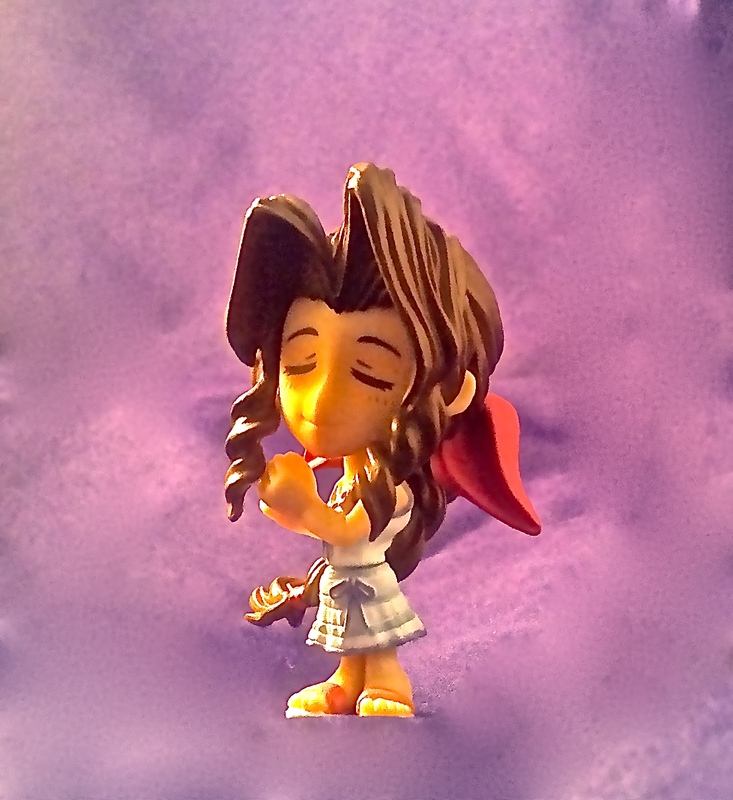 Yuffy has no problem standing without her stand, but Aeris is too top-heavy in the pink dress,…not so much in the night gown. Both characters come with two outfits. The pieces fit together by little pegs that mostly work pretty good. Yuffy has an alternate hand that is too loose. 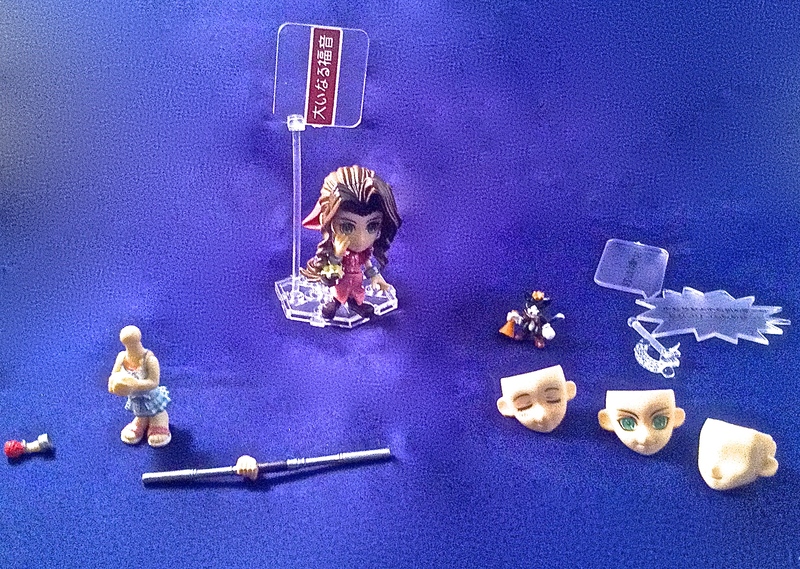 The clear pieces are speech bubbles or parts of the stand. The stand has pegs and props that attach to the bottom. The stands are pretty good. 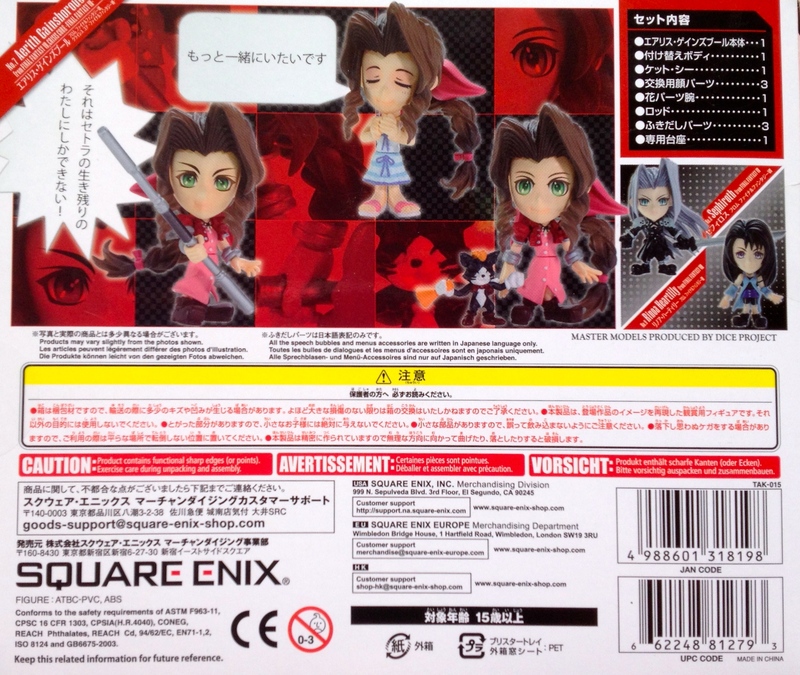 Both characters come with alternate hands as well as outfits. Yuffie has two different weapons…I should say COLORS of the same weapon. 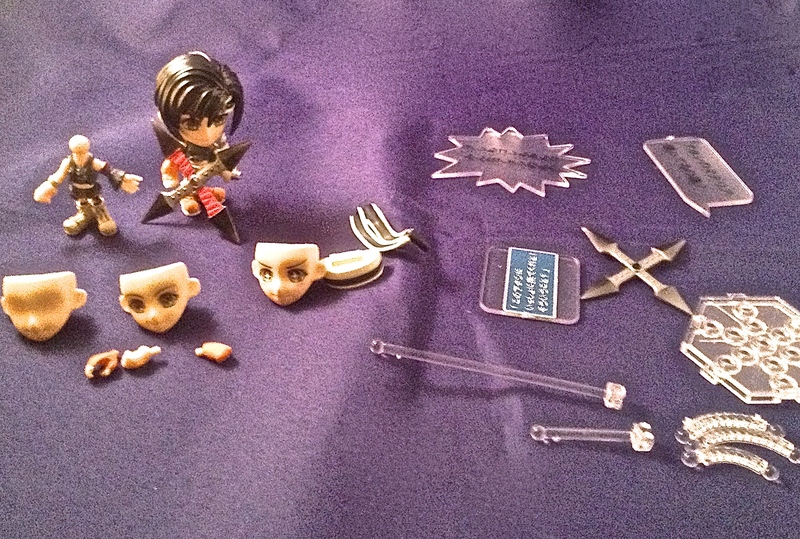 I mean, all of this for $20…Deep customization, a fairly durable product…I was very pleased with these. If only I had steered him towards a Cloud or Vincent like this. He would have been happier probably. I feel I need to take a point from Yuffie for that loose hand…It fits in the wrist socket fine, but can’t support one of the weapons. The only other point off is that it is all in Japanese with no English translation. I wish there was AT LEAST a translation, for us illiterate Americans. 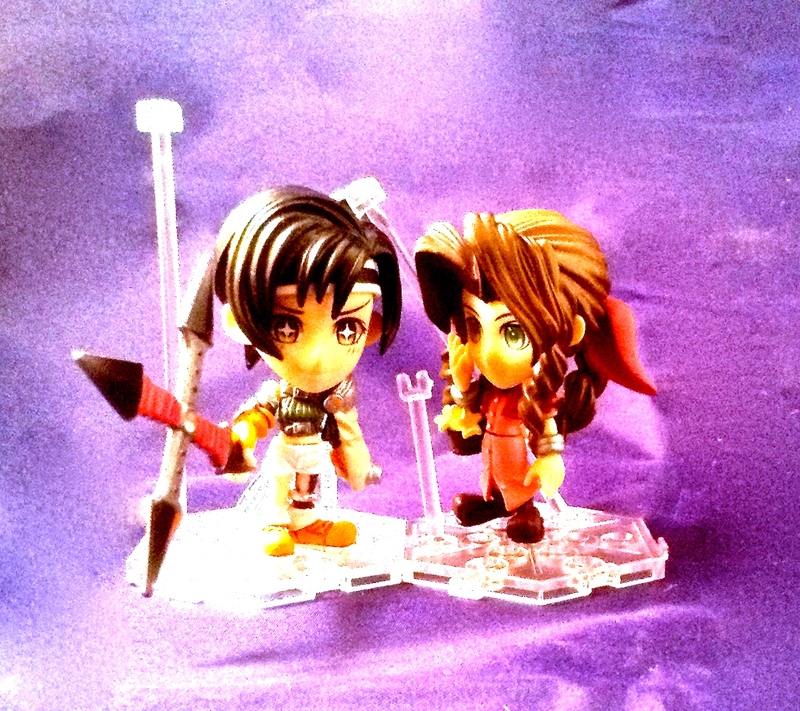 So I give Final Fantasy Trading Arts Mini Aeris and Yuffie a 4/5! What would your rating be? Let me know! 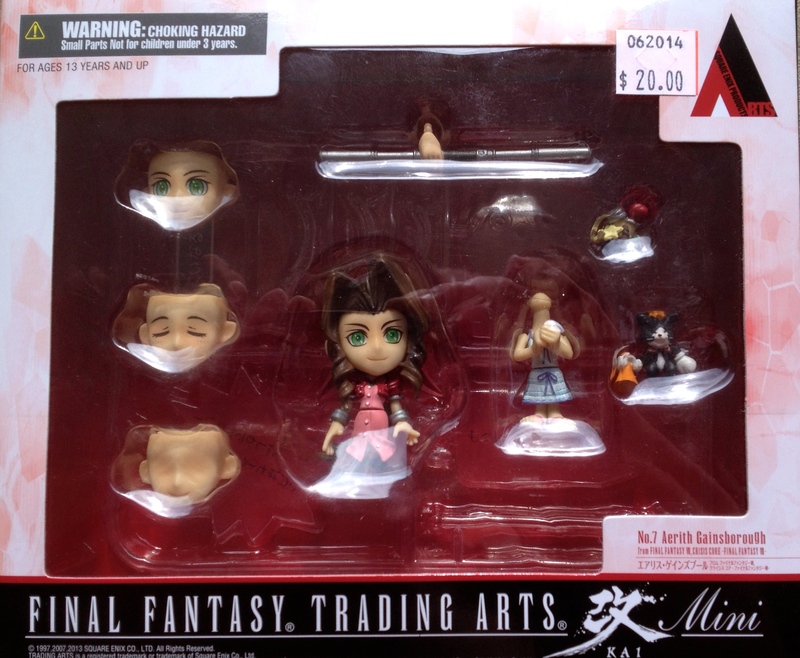 This entry was posted in Uncategorized and tagged Final Fantasy Trading Arts Mini Aerith, Final Fantasy Trading Arts Mini Yuffy. Bookmark the permalink.